A spectacular tree that puts on a breath taking display of autumn colour. Flowers are inconspicuous. 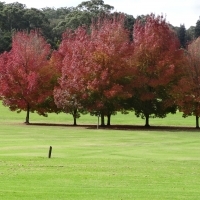 Foliage is bright green before changing to its autumn splendour. Drought hardy, well drained soil. Dark violet flowers on long stems, 1.5 - 2m. An excellent cut flower, ideal for borders, driveways or as potted specimens. Flowers best in full sun but also will grow in semi-shade too provided it has good drainage. This plant demands attention with its hot pink foliage. This Alternanthera is an excellent feature shrub for garden beds, containers and patio pots. Its brightly coloured leaves are contrasted by ball shaped white flowers in spring. Full sun to part shade. Brazilian Red Alternanthera loves humidity and is heat tolerant but frost sensitive. Grow in full sun to part shade. 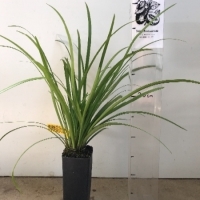 Ornamental, the very popular exotic Pygmy Date palm is the perfect miniature palm tree. 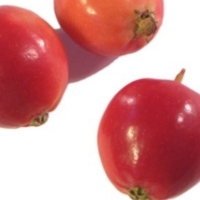 The edible fruits are small - 1cm and resemble tiny, thin-fleshed dates. A slim trunk and a beautiful crown of feathery leaves. 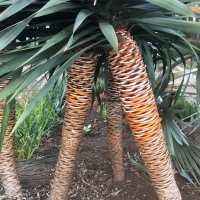 Suits the warm temperate, tropical or subtropical garden, Makes an excellent potted palm. Sunrise is beautiful croton with big red and yellow leaves. 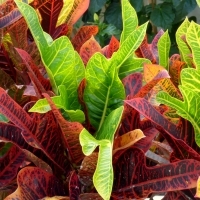 This tropical evergreen plant is grown for its decorative, leathery texture and intensely coloured foliage. Staying vibrant and true to colour all year round, this remarkable shrub is ideal for tropical gardens with well drained soil or for use indoors in warm well lit areas. Excellent for use in ornamental pots and for best results, cut them back occasionally to promote fuller growth. A bushy deciduous tree that is prized for its incredible peeling bark. Salmon pink, smooth and shiny at first, the bark then flakes and curls in cinnamon-brown to blackish sheets. 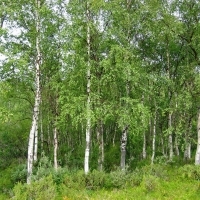 Vigorous and fast growing this birch does well in a range of climates including warmer regions. River birch can be grown as either a single trunk or multi-stemmed tree. Beautiful yellow flowers edged in orange. 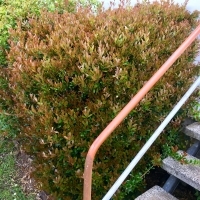 The upright bush grows to 2m, needs a well drained acidic soil in a morning sun position as it will prefer protection from the hot afternoon sun. Mulch well to keep the roots moist and cool. Well suited to growing in pots. 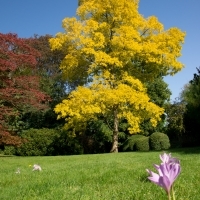 This striking tree exhibits a magnificent display of pendulous racemes of clear yellow blossoms. Fern-like leaves and the tree produces long seed-pods after flowering. Needs very well drained soil, regular moisture and full sunlight. An excellent plantation timber tree for woodlots and farm forestry. Large usually deciduous tree growing to 30m in height. 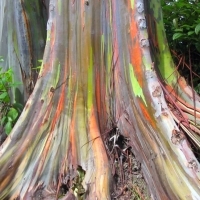 It has a smooth thick trunk, up to 1m in diameter with dark grey bark. It has glossy pinnate mid green leaves forming a thick canopy. 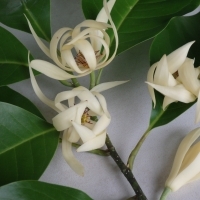 Small creamy white blossoms are followed by small woody capsules to 8cm follow in the warmer months. 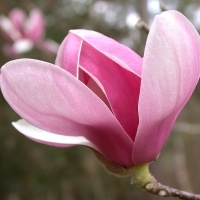 A fragrant magnolia growing to approx 4M. The pastel, lavender-pink flowers are paler on the tips and white inside. 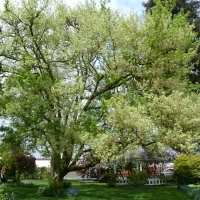 A prolific bloomer and a beautiful spring flowering specimen tree. 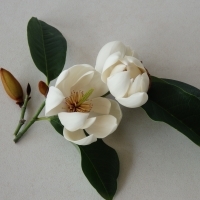 A dwarf form of Magnolia grandiflora having the same beautiful large white fragrant open flowers and the shining green leaves. The underside of the leaves is a lovely copper colour. Flowering in Spring and Summer. Flowers while young. Frost hardy once established. Spectacular red, yellow or orange autumn foliage. 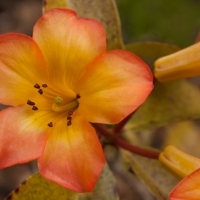 Prefers rich moist, well-drained soil in a protected, shady position with full sun when mature. This tree is the principal source of maple sugar. 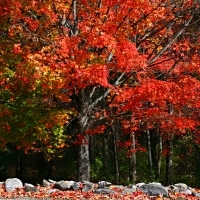 A giant shade tree with magnificent maple-like leaves that turn brilliant shades of red, yellow and gold during autumn. Plant at least 10- 20 metres from buildings and powerlines. Reaches 15 -20 metres on maturity. Deciduous. A lofty evergreen tree, native to India, commonly planted due to its effectiveness in alleviating noise pollution. 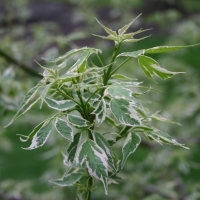 It has attractive symmetrical pyramidal growth with willowy weeping pendulous branches and long narrow lanceolate leaves with undulate margins. Grow over 10m in height. In past, the flexible, straight and light-weight trunks were used in the making of masts for sailing ships. That is why the tree is also known as the Mast Tree. Today, the tree is mostly used for manufacturing small articles such as pencils, boxes, matchsticks, etc. This tree is highly prized, especially by many Asian cultures because of its highly perfumed flowers, and rich, light green foliage. 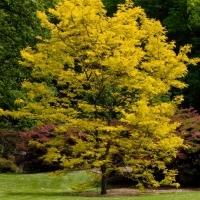 It is fast growing, with an upright habit to 8m , and makes an excellent specimen tree. The tallest trees on earth with specimens reaching 115m in height. A spectacular long-lived evergreen tree, that are amongst the oldest living things on earth, living 1200-1800 years of age. Suited to large parks and gardens or as a bonsai specimen. 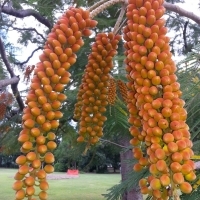 Trees are monoecious with pollen and seed cones being produced on the same plant. 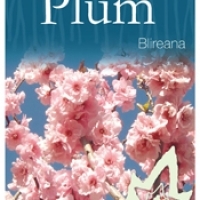 Spectacular flowering shrub to 3m. Great for hedges as it tolerate pruning well. This shrub will be deciduous in cooler climates and evergreen in the tropics. Stems, branches and petioles are armed with sharp spines and it has attractive fern-like foliage. It flowers throughout the year in the tropics and in late summer through autumn in frosty climates. A low chill flowering peach that has a mass of pink full flowers in late July. If no fruit is desired, prune hard after flowering or if fruit is desired prune hard after fruiting in November to get a heavy flowering the flowering Spring. The common name of Parrot Tree derives from the large numbers of parrots attracted to the tree during its flowering season. 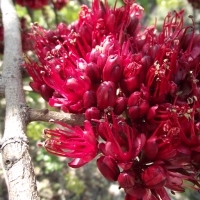 Flowers appear in spring, are numerous, deep red, and filled with nectar, although exact flowering times vary from tree to tree. The name, Drunken Parrot Tree derives from the fact that the individual flowers contain so much nectar that it has a tendency to ferment before the birds can eat it all, resulting in a mild narcotic effect on the birds. A medium to large, spreading tree, growing up to 20 meters, but more commonly from 5 to 10 meters depending on conditions. An edible species of bamboo. Fast growing in just about any soil type or environmental condition. 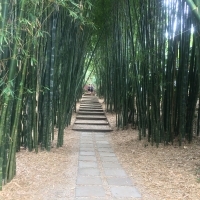 Oldhamii is a medium sized upright clumping bamboo. 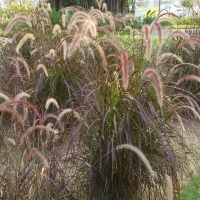 It has deep green foliage that starts low on the smooth clumps which turn yellow as they are exposed to sunlight. The tall upright culms grow straight and strong making it a popular variety for many different horticultural and agricultural applications. Both the timber and the shoots are popular for construction and human consumption purposes. 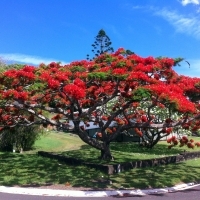 Large striking tree with vibrant red flowers in Summer. Regarded as on of the best shade trees in the subtropics. Broad spreading quick growing tree. Protect from frost when young. 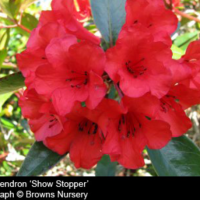 Beautiful Red bell-shaped blooms on a low bushy shrub make this a popular and showing plant. A beautiful and delicate tree when in full bloom. 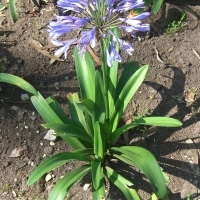 The colour of flowers vary from white to rosy pink and flowering occurs shortly after the growth of new foliage has stopped after a brief deciduous period. A beautiful white flowering form of jacaranda. 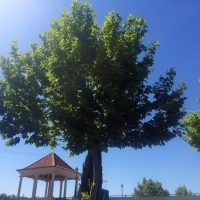 A spectacular choice for a street tree or large shade tree. Long lived trees that can grow to be 200 years old. Flowers appear in late spring and early summer. Grafting ensures flower will be pure white. 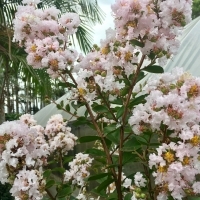 A beautiful, small shrub which produces an abundance of light pink flowers in dense panicles. Well suited to containers, hedges or as a bedding plant. Adaptable to a range of conditions, but is best in moist, well drained, slightly acidic soils in a position receiving full sun. Moderate drought and heat tolerant. Suitable for hot, sunny climates. 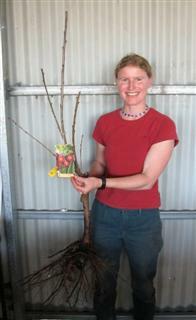 An excellent deciduous farm tree, quick growing and can tolerate most soil types. Does not drop branches and retains leaf to ground level. Ideal for avenues, windbreaks and shade. Well adapted to a wide range of climates. Autumn colours are a deep golden. This large South American tree produces a stunning display pink flowers with a tubular, bell-like shape similar to a trumpet. 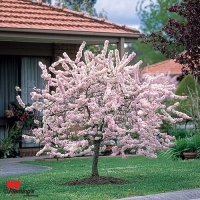 The flowers make this tree light up every spring, bringing colour and radiance to your yard. 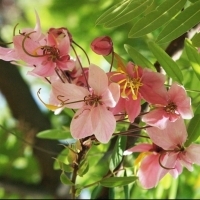 Due to its size, the Tabebuia palmeri is best suited to larger areas as a feature tree and is perfectly suited to coastal gardens, as it's highly tolerant of salty terrain. Roots non invasive and makes an ideal specimen tree. 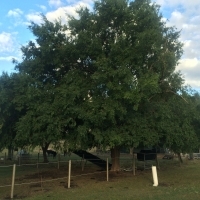 A neatly rounded tree growing to approx 6 metres in height. 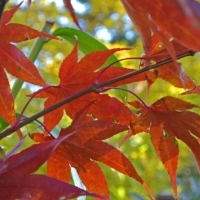 Known for one of the best autumn colour variety within the Japanese maples. 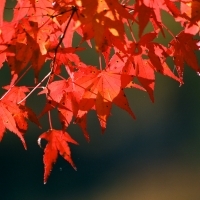 Its green foliage turns a fiery crimson in autumn. It has a broad vase shaped growth habit usually multi-stemmed. Clusters of small red flowers can be found in Spring. 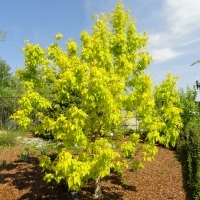 An attractive ornamental deciduous tree with gold foliage. 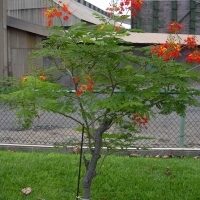 Easy to grow small tree, it requires well drained soil and full sun. 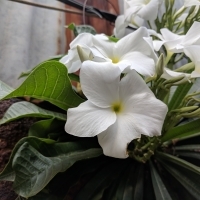 The lightly scented blooms are produced over a long period during the warmer months, they are white with a yellow center. 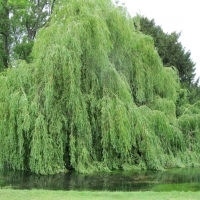 The Weeping willow is perhaps the most distinctive willow tree species. A moisture-loving tree it makes a spectacular shade tree. The leaves provide a good reserve of feed for stock when pastures are dry. Stunning flowers in shades of red, orange, purple, green and white that are flecked, striped and streaked with darker colour make these a beautiful lily in the garden and a lovely cut flower. Long-lived perennials, they prefer a morning sun position with at least 6 hours of sun, good drainage and plenty of moisture. 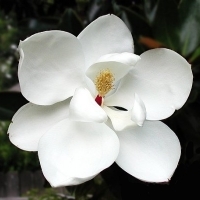 The white magnolia blooms with huge open flowers in early summer. Cream-white and fragrant they reach up to 30cm wide. While the tree takes up to 7 years to flower its evergreen foliage is an attraction in itself. 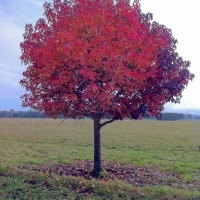 A small, dense tree with excellent year-round colour. 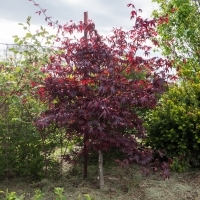 Magnificent bronze-purple foliage is combined with a good shape and a useful size to make an attractive specimen tree for a protected area in the landscape. 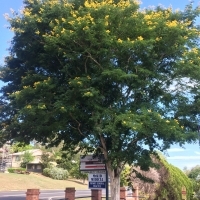 Should not be planted in exposed areas where hot summer winds may stress the tree. Leaves may suffer scorch in very hot sun. 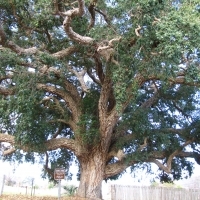 A magnificent shade tree with distinctive dark green leaves and a black, furrowed trunk and branches. An excellent ornamental specimen. Performs better in cooler positions. 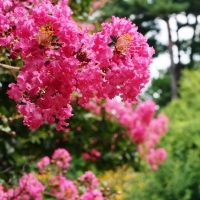 A showy, narrow-growing small tree with masses of intense pink flowers in summer, highly ornamental bark and very good autumn colour. This is an adaptable and disease resistant plant suitable for a range of situations. Evergreen tree growing to about 10 metres depending on growing conditions. Small smooth glossy leaves. Non suckering, arching almost weeping habit of growth. A splendid tree for many uses under all climatic conditions. 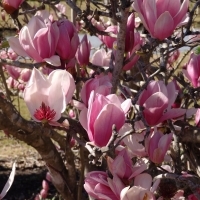 One of the most spectacular of the spring-flowering trees and one of the easiest to grow. During winter its bare branches are covered with large tulip-like flowers, rose-pink outside and white inside. 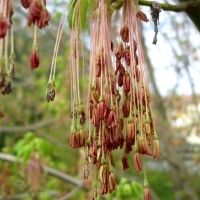 This deciduous tree has beautiful pink fluffy flowers that are followed by a heavy crop of seed pods. Fast growing. Fast growing deciduous spreading tree to 15m. Bright green leaves and clusters of greenish-yellow flowers. Can be tapped for its sweet syrup like the Sugar Maple. Very drought hardy, good specimen tree. Rootstock for Claret Ash and Golden Ash. A large deciduous tree suitable for parks and larger gardens, it can grow to 50m tall and is the tallest eastern hardwood. 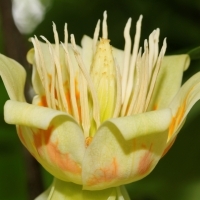 It is fast growing and produces large attractive flowers that are pale green or yellow with bright orange centers. 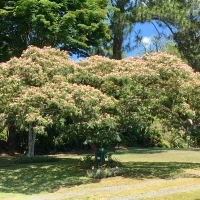 If you have the space this is an excellent specimen tree for cooler climates. Considered to be the most beautiful selection of Canadian Maple. 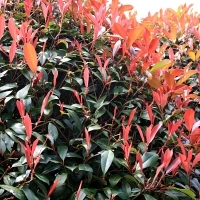 Displays brilliant red autumn colours and has a neat, upright growth habit making it an excellent choice for small gardens, avenues and street planting. 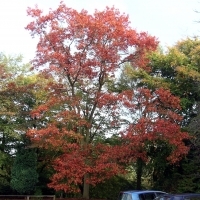 This well structured and very adaptable tree features some of the best autumn foliage colourings of the hybrid red maples, but is most useful as a medium to large shade tree for car parks, amenity areas around buildings, medium to large properties and for street, avenue or park plantings. Wide range of soil and climatic conditions including relatively wet sites and moderate air pollution. Heat, low levels of drought and cold conditions. 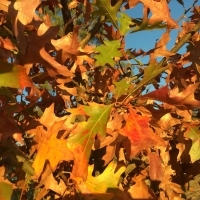 The northern red oak is a beautiful tree for cooler areas where its autumn foliage can really be appreciated. This is considered to be the most beautiful of the Japanese maple cultivars mainly because the leaves remain blood red throughout the entire growing season. Prefers cool, deep, moisture retentive soil in a sheltered site. 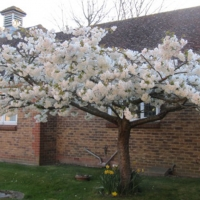 A very impressive small deciduous tree suitable for all gardens. 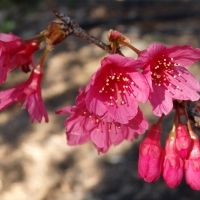 A prolific display of large double pink blossoms smother the bare branches in early Spring. 4m high x 3m wide. Prune each year after flowering to encourage new growth for next season. Spray just prior to bud burst to help prevent curly leaf. Excellent foliage especially the bright cinnamon-bronze backed leaves. 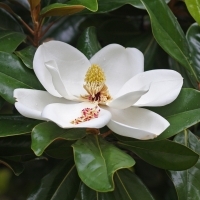 Magnolia Exmouth produces beautiful creamy-white flowers that are highlighted by the glossy foliage, flowers when young on a bushy tree. Compact form, can grow to 12 m in 20 years. Ideal specimen tree, it can be hedged or grown in containers. 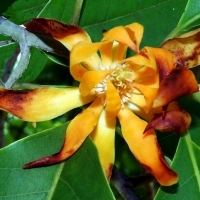 Thrives in full sun or part shade, needs protection from strong or salty winds. Frost tolerant once established. Prune and fertilize in early spring. A very attractive tree that sheds its bark in large flakes, leaving a patchy grey and white effect on the trunk. Excellent garden specimen. Pruning is not necessary. Fast growing to 15 meter. A majestic emergent of tropical South American rainforests. A tall tree to 50m the trunk is straight and smooth apart from the large spines that protrude from the trunk. Plant buttresses can extend for 10 and stabalise the tree. Trees will drop their leaves during the dry season, they flower before the new leaf growth emerges. The seeds burst open on the tree revealing the white cotton like fibre that assist in the wind dispersal of the seeds. The trunks of trees are uses to make dugout canoes in many places as the wood is buoyant and water resistant. 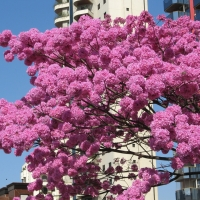 This striking tree has bright pink and fresh green spring growth. Mature growth is apple green and white, flushed slightly with pink. The bright pink leaf margins turn white during summer. 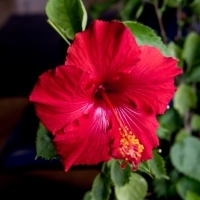 Large, rich velvety, 'dragon red flowers with a glowing sheen has made this one of the most popular hibiscus species. It grows as a fairly large leggy shrub but it can't be kept bushy with regular pruning in spring. 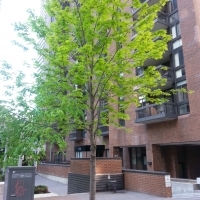 This beautiful, hardy tree is well adapted to harsh urban conditions. 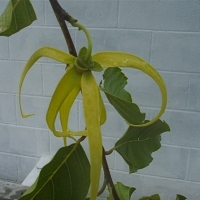 A deciduous tree with Yellow-green, serrated, lobed leaves. Fast growing and drought tolerant. 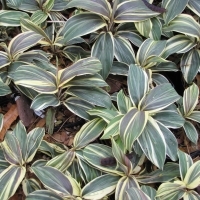 Performs well in warmer areas in sun or semi-shade. An evergreen, small to medium tree with a spreading crown. 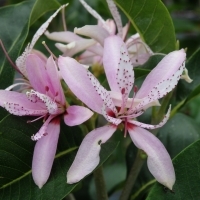 In early summer this attractive tree bears masses of showy, light pink flowers above the large, glossy, oval leaves. Flowers within 2 years. Fast growing with a straight trunk it is an excellent shade tree for stock. It is also very ornamental due to the dense canopy. Prune off the lateral branches to stimulate faster growth. 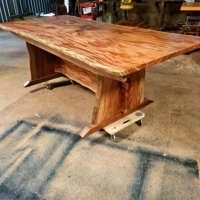 The rich, red timber has distinct annual growth rings in it, it is easy to work and one of the most famous timbers for cabinet makers. Large logs were traditionally used for dugout canoes. Protect from frost when young. 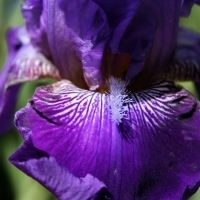 The Louisiana hybrids are the most colourful of irises. They have evergreen strap-like foliage with extremely colourful flowers, in an assortment of colours. They form clumps and can be divided from 2 - 3 years. This very symmetrical plant supports a crown of shiny, dark green leaves on a thick shaggy trunk that is typically about 20cm in diameter, sometimes wider. The trunk is very low to subterranean in young plants, but lengthens above ground with age. 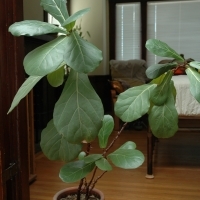 It can grow into very old specimens with 6 - 7 m of trunk; however, the plant is very slow-growing and requires about 50 - 100 years to achieve this height. Trunks can branch multiple times, thus producing multiple heads of leaves. 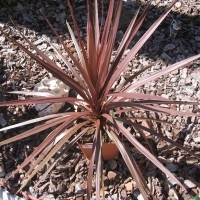 A fast growing native to New Zealand that can be grown as a palm-like shrub or a small tree. Its narrow, sword-like upper leaves remain erect while the lower leaves in the tip cluster droop. Panicles of fragrant white flowers appear in late spring, followed by small white or blue fruits. 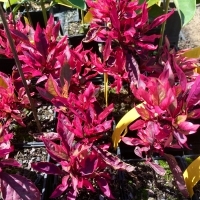 Red Star is grown for its rusty bronze-red leaves and is often used for height and texture in annual container plantings. 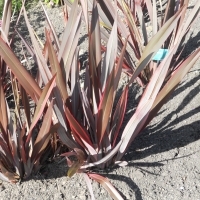 Cordylines grow best in deep, well-drained soil in full sun, and will tolerate alkaline soils, drought and seaside gardens. 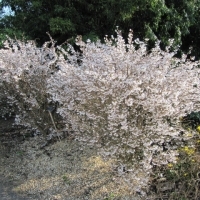 A small flowering plum grown for an amazing display of white, changing to pink, flowers covering bare willowy branches from mid-spring. Good for small gardens and parks. Abundant single flowers to 2 cm diameter, with white petals upon opening, gradually becoming coral-pink before falling. Nearly completely covering the long bare branches in mid-spring. Quite adaptable to a varied site conditions, but prefers moist, well drained fertile soils and a position receiving full sun to part-shade. Flowers best in full sun. 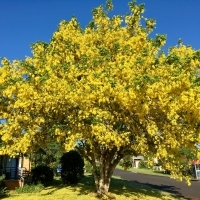 A lovely, vigorous, medium sized tree with golden-yellow foliage and red thorns, creating a spectacular splash of colour in the landscape. Grows in almost any situation. 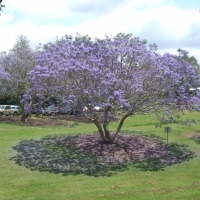 Paulownia is extremely fast growing; up to 20 feet in one year when young. 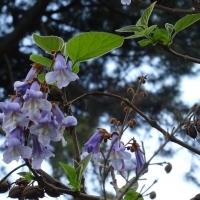 Some species of plantation Paulownia can be harvested for saw timber in as little as five years. Once the trees are harvested, they regenerate from their existing root systems, earning them the name of the Phoenix tree. 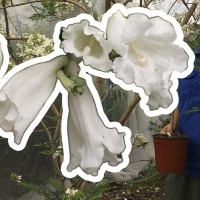 As a forestry crop Paulownia are exacting in their requirements, performing well only in very well draining soil, with summer rainfall or availability of irrigation water. 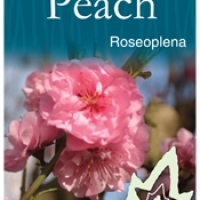 Features large, double peach coloured flowers with ruffled petals. Great for group planting. plant at 30cm-40cm apart. Best in full sun to semi shade. Pots or beds. Height 60cm width 30cm. This tree grown for its lacy foliage and elegant shape. 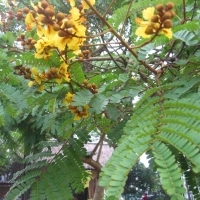 It has dark grey-brown bark and bright gold fern-like leaves. 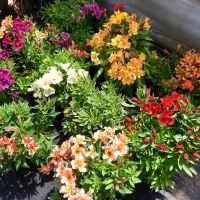 Grows well in well drained soil with adequate moisture and sunlight. Deciduous. 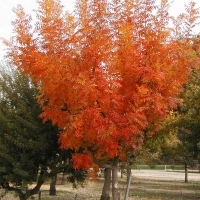 Excellent feature tree with its attractive glossy foliage that emerges as ruby-red, turns bronze-green and then yellow-gold in autumn. 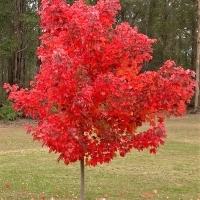 The 'Ruby Lace' variety grows to thornless, small to medium-sized tree and has a open, spreading canopy and attractive, fine, weeping foliage. Fast-growing, heat and drought tolerant. 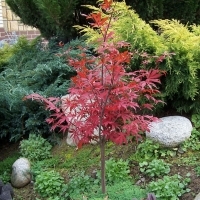 Vibrant autumn leaf colours on a medium sized tree make this an attractive choice for a specimen tree. 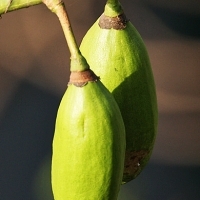 Fast growing, to 10 - 20 m, it is an oval shaped tree. 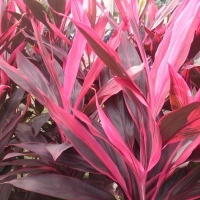 A striking flax with upright dark burgundy, almost black foliage that grows approx 1m tall. Mass plant for impact, use a potted feature or as a interesting focal point in the garden. 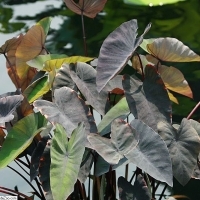 A highly ornamental pond plant with burgundy stems and leaves, it is also called Elephant Ears due to the shape of the leaves. They are an ideal edge plant for ponds where they can be submerged to a depth of 15cm. Best grown in pots so they do not overcrowd and dominate the pond. They can also be grown in moist, partially shaded spots, in the garden although they will tolerate full sun if they receive plenty of water. Black magic taro also make an attractive house plant. Weed warning: Take care to ensure it does not spread into waterways. 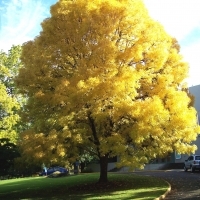 A brilliant grafted selection, this large tree is ideal as a feature tree in a large garden or parkland where it will produce a stunning Autumn colour display. 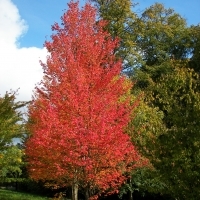 A giant shade tree with magnificent maple-like leaves that turn brilliant shades of red, yellow and gold during autumn. Plant well away from buildings and power lines. A magnificent large tree with deeply divided finger-like lobed leaves. The bark is attractively dappled and flaking. Can withstand some drought conditions. Deciduous. The only low chill selection suitable for subtropical gardens. 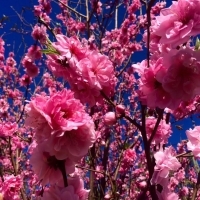 An ornamental tree to 5-6m producing single bright pink flowers in the spring. 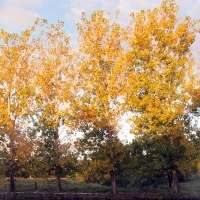 A dense-foliaged deciduous tree that changes to a golden-yellow in autumn. 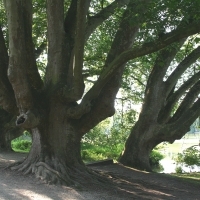 Cultivated trees reach approximately 9 metres in eight. Fast growing and pest free. Frost tolerant. Cut back regularly to keep in shape. 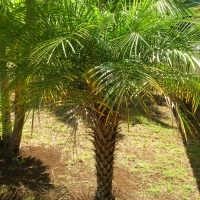 A gorgeous small palm is slow growing with a solitary trunk. Ideal for growing as an indoor plant or in pots and containers. 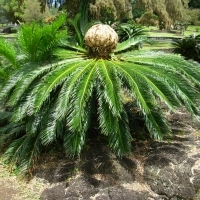 Native to the lowland rainforests of the Solomon Islands and Vanuatu, it is a tropical palm that need to be grown in a warm, shady and protected position. It is not tolerant of cold or windy conditions. 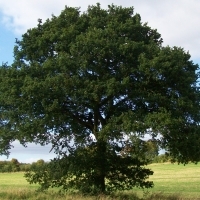 Medium sized evergreen oak. Long lived large spreading trees to 20m. The bark is harvested once every 9 - 12 years for use as wine cork, flooring and other products. Native to south western Europe and northwest Africa. 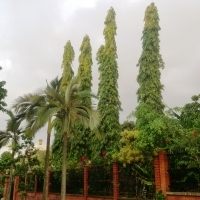 A tall fast growing tree reaching 25 - 30m. Flowers are large,white and up to 8cm across, they appear in abundance during the dry season while the tree has none, or very few, leaves. Blooms deep reddish purple, later than most other cultivars. Spicy fragrant. Prized for its purple flowers, shrubby habit and blooms that appear before the leaves in the spring. Frost hardy deciduous shrub. Forms a rounded plant of 4M. The erect flowers are a deep violet-red on the outside, pale within. Masses of flowers open into large pink blooms with long strap-like petals, shaped like a crown. The lush green leaves appear during spring and then herald the onset of winter when they turn a rich golden colour. Prefers moist well drained soils rich in organic matter. It is widely grown as an ornamental tree in North America. It is the timber of choice for production of baseball bats and tool handles. The wood is also favorable for furniture and flooring. Stunning displays of colour on a hardy perennial plant make this a fantastic edging plant. Preferring a spot in acidic soil with plenty of sun. Tall, slender Aracaria that is native to New Caledonia. It has a similar appearance to the Norfolk Island Pine, but Cook Pine Trees seldom grow straight, instead tending to have a uniform lean of up to 8 degrees towards the direction of the sun. 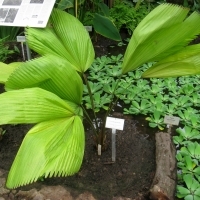 A striking palm like plant with leaves that can reach 1m long. Produces panicles of small white sweet-scented flowers opening in summer. Young leaves are coppery red in spring, turning green in the summer. 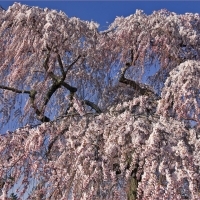 Masses of bright, double pink blossoms smother the tree in the spring. 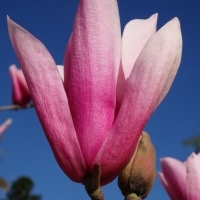 Prefers moist, well drained soil and will flower best in a full sun position.